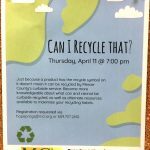 WHAT’S NEW “Can I Recycle That?” presentation at the Hopewell branch of Mercer County Library, April 11, 2019 at 7:00 pm. The Hopewell Valley Green Team is charged with helping everyone who lives and works in the Hopewell Valley to protect this beautiful place that we call home. Since our first meeting on Oct. 29, 2009, the Hopewell Valley Green Team (formerly known as the Hopewell Valley Green Future Task Force) has been working to foster actions among citizens and governments in the Valley that will lead to a more sustainable way of living. We have been especially focused on: 1) Outreach & Education, 2) Recycling, and 3) Local Economies. The Green Team was profiled by The Hopewell Express in April 2018. Read the article here. 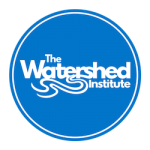 If you are visiting this page, you probably already try to live sustainably. 1. Take your own reusable canvas bags to the store. 2. Lower your thermostat one degree (or more) in winter. 4. Compost your organic waste. 5. Drive your car less: walk, bike, carpool, use mass transit. 6. Keep your car tires properly inflated. 7. Eat locally produced food. Eat less meat. 8. Shop right in town, instead of traveling a long way to the mall. 9. Turn off lights in unoccupied rooms. 10. Drink tap water instead of bottled water. Our custom EnergySage portal into the solar marketplace will continue to be active for the next year. 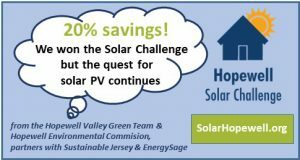 Go to www.SolarHopewell.org to get started. Lauren Meyer of Hopewell designed our colorful HVGT logo. See her website here.